Tottenham secured a narrow advantage from the first leg of their Champions League quarter final against Manchester City, as Son Heung-min grabbed the only goal of a tensely fought encounter at their impressive new stadium. Pep Guardiola’s team won an early penalty when VAR was used to adjudge that Danny Rose had handled a Raheem Sterling shot in the home area, but Sergio Aguero’s spot-kick was saved by Hugo Lloris and City thereafter struggled to regain any momentum. 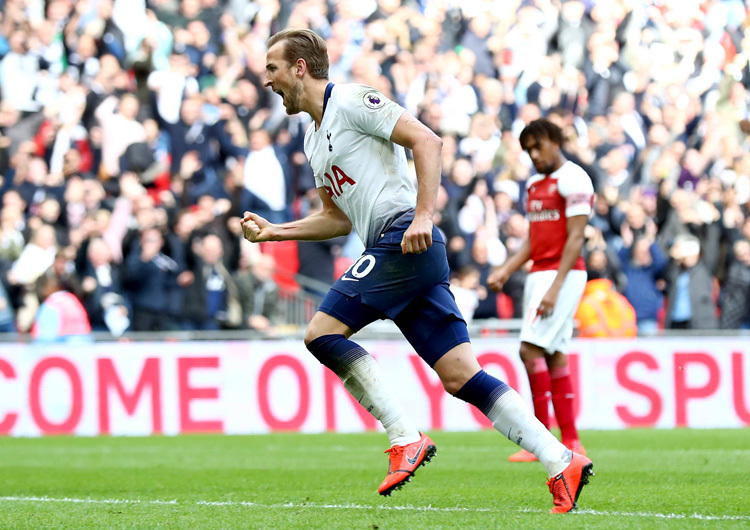 Harry Kane departed with an ankle injury early in the second half, but Spurs continued to press and were rewarded when Son got the better of Fabian Delph and shot low through Ederson to score with quarter of an hour remaining. Tottenham held on and have a lead to defend at the Etihad next week. Mauricio Pochettino set Tottenham Hotspur up in a 4-2-3-1 attacking shape, but most of their early attacking play came during moments of transition. Whenever Manchester City pushed their full-backs higher in attack, Harry Kane became the focus. Diagonal movements away from the City centre-backs allowed Kane to turn on the ball and pass across to the opposite attacker – Christian Eriksen or Son Heung-min – to take advantage of any space left in the wide areas. As Spurs began to create longer spells of possession, central midfielders Moussa Sissoko and Harry Winks dropped to the sides of their centre-backs, allowing both full-backs to push higher in wide areas. Son and Eriksen occupied the inside lanes to link off Kane’s lay-offs, with Dele Alli a deeper number 10 to spin off and provide late central runs that were well disguised and difficult to track. As the first half wore on, however, Alli began to burst forward earlier on the counter; this worked to push the City defence deeper, creating more time and space for Son and Eriksen to create outside the area. The visitors’ deeper block held firm, however, as the half ended goalless. Kane’s withdrawal through injury early in the second half was a major blow to Tottenham’s attacking strategy. 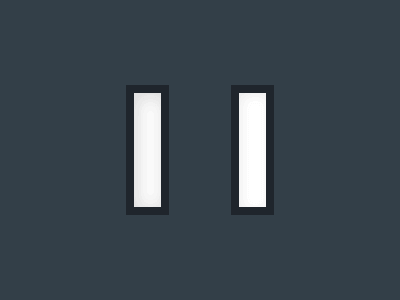 They lost their highest attacking presence, with Alli, Son and Eriksen now forced to make longer runs forward to increase the number of bodies high up the pitch. As a result, the hosts lacked numbers in midfield, giving City more opportunities to dominate possession and get forward themselves. Lucas Moura, who had replaced Kane, moved to the left to provide more attacking width, as Alli and Eriksen then became the two central threats. 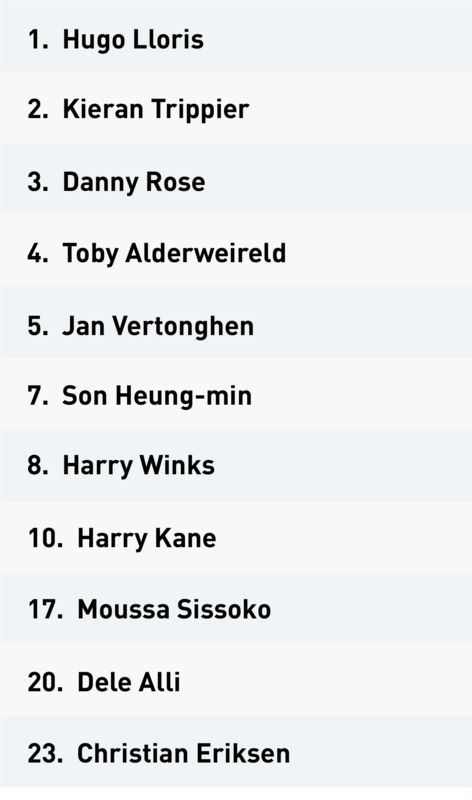 Alli’s higher position was eventually supported by inside runs from Moura, with Eriksen dropping into the deeper number 10 role. It was the Dane’s chipped pass that released Son in behind Fabian Delph to score the game’s only goal. The South Korean’s endeavour to keep the ball in play drew City’s part-time left-back to the ball; after beating him, he unleashed a low drive that went under Ederson to give the hosts victory on the night. Out of possession, Tottenham initially tried to press City into their own penalty area, but they soon became wary of Ederson’s direct passing over the pressure. They thus reverted into a mid-block, but struggled with City’s fluid rotations; Sissoko and Eriksen in particular found their man-marking responsibilities difficult, as they had to follow their man far away from their initial defensive position. 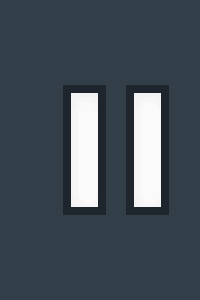 This created larger gaps for the visitors to play vertical passes into Sergio Aguero and Raheem Sterling. 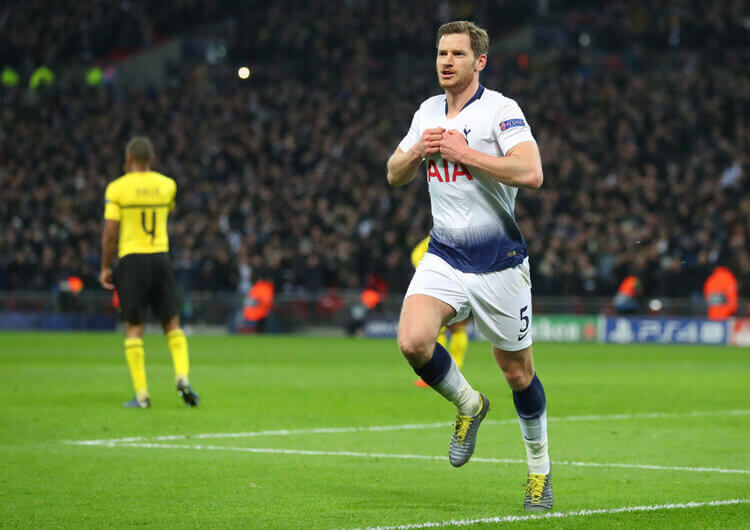 The latter was able to drive inside and combine, or shoot directly on goal – as he did when Danny Rose was adjudged to have handled in the Spurs area. Aguero missed the resulting penalty, with Tottenham having less defending to do through the rest of the first half. Kane’s departure reduced the hosts’ ability to hold and combine during moments of transition in the second half. This resulted in longer spells of possession for the visitors, with Alli’s higher positioning to compensate for Kane’s absence giving Ilkay Gundogan in particular more licence to get forward after passing. Moura’s eventual drift to the left helped stop any dangerous progression from Kyle Walker, who at 0-0 wouldn’t risk leaving space into which Moura could drive after a regain. This also helped Tottenham form a 4-4-2 defensive block, as they consolidated their position within the tie both before and after Son’s winner. Tottenham set up in a 4-2-3-1 formation in which full-backs Danny Rose and Kieran Trippier pushed higher and were covered by the widening double pivot of Harry Winks and Moussa Sissoko. The front four then created a central diamond, with supporting movements around Harry Kane’s link-up play. The hosts defended in a 4-2-3-1 mid-block and congested the central lane to stop Manchester City’s double pivot controlling play. Moving Son over to the right also allowed for quicker transitions in behind the slower Fabian Delph. In the second half, substitute Lucas Moura’s inside movements from the left helped Dele Alli occupy both City centre-backs. Son and Rose provided the width, as demonstrated here in Tottenham’s winning goal. 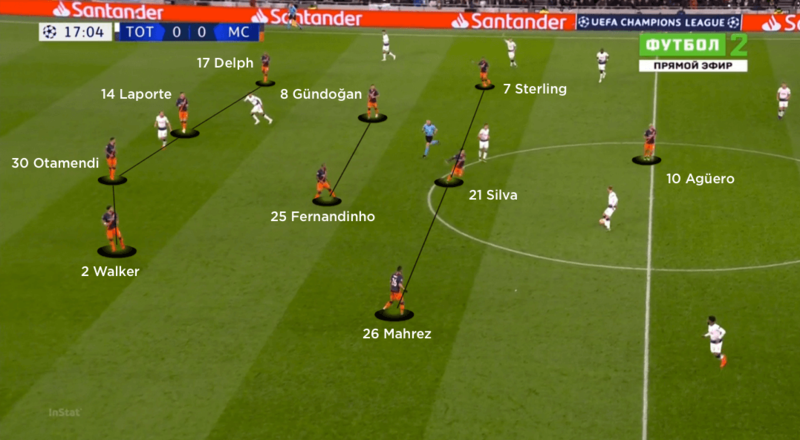 Manchester City set up in a 4-2-3-1 shape, but Fabian Delph’s early movements inside from left-back dragged Christian Eriksen in and allowed Ilkay Gundogan to rotate out on the left. Sergio Aguero’s dropping gave Harry Winks two players to cover. 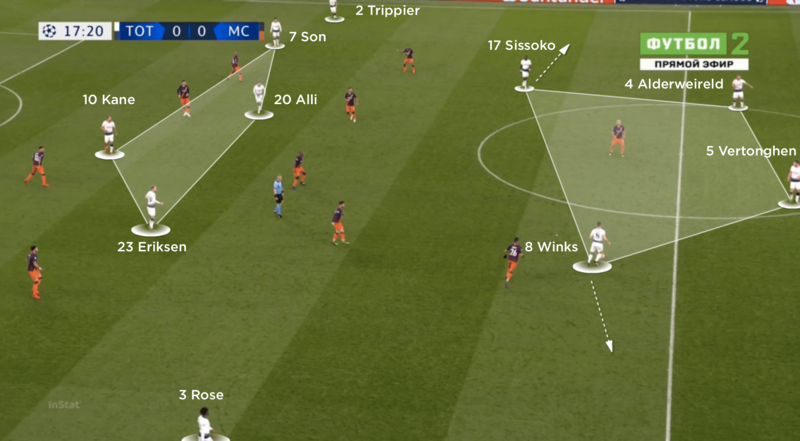 City converted into a deeper 4-2-3-1 block out of possession, building a deeper central presence as Tottenham moved to a more direct approach into Harry Kane. The visitors’ central midfield tended to drift to the left side. Aguero then moved to the right to support the isolated Riyad Mahrez, but that meant they lacked a central presence on the top line. Pep Guardiola set Manchester City up in a 4-2-3-1 structure that was adapted to build with a back three in the opening exchanges. 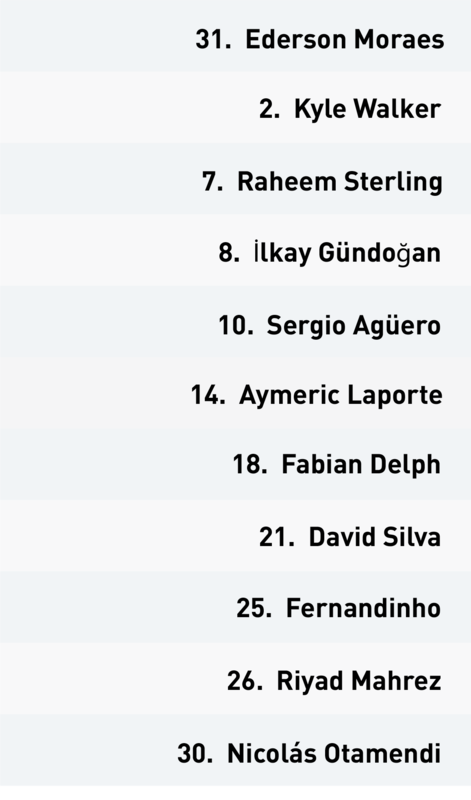 Left-back Fabian Delph moved inside to form a double pivot with Fernandinho. 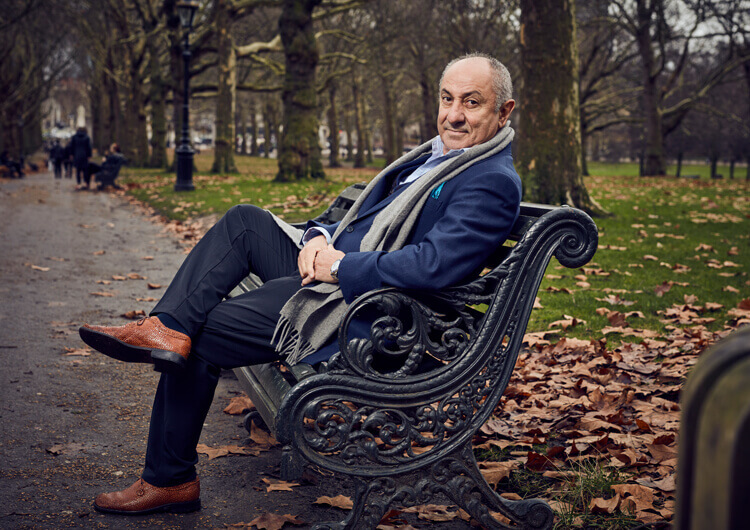 Ilkay Gundogan then moved out to the left, drawing Moussa Sissoko out – this left Harry Winks alone to protect the central lane for Tottenham, with spaces opening up for Sergio Aguero to drop and bounce for third-man runners around him. After the Argentine striker had missed from the penalty spot, City’s play lacked a certain spark. 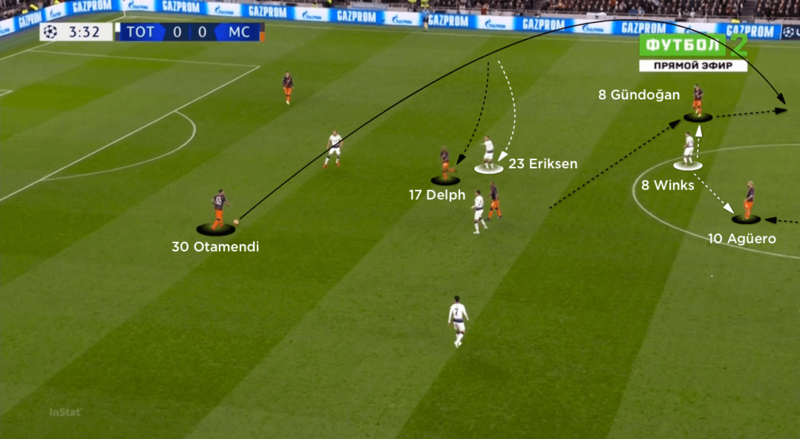 Delph’s rotations reduced and the visitors’ central play was well covered by Harry Kane and Dele Alli, who blocked the route from centre-backs Aymeric Laporte and Nicolas Otamendi into the double pivot. Any long balls into the City front line were easily dealt with by the Tottenham defence. In wide areas, Riyad Mahrez in particular had little to offer in the first half. The visitors’ advanced central midfielders often moved to the left, leaving the Algerian isolated on the right, with minimal supporting runs in behind to penetrate, or inside to combine.  There was a noticeable change of tempo to City’s play in the second half, when David Silva and Gundogan made more forward movements after passing. 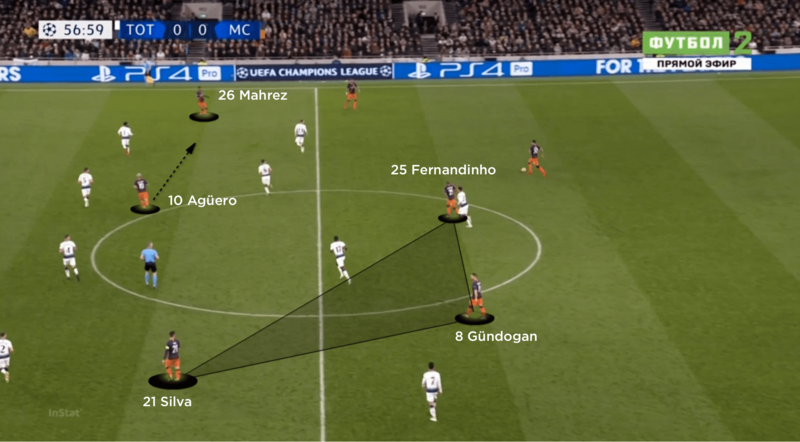 This created more fluid combinations in the central lane, although Silva’s left-sided focus as the highest central midfielder still gave his side an attacking imbalance. Aguero tried to help by moving across to support the still isolated Mahrez, but City now lacked a presence in and around Tottenham’s central defence. The introductions of Leroy Sane and Kevin De Bruyne came too late to affect the game, as City failed to score in a game for only the fourth time all season. 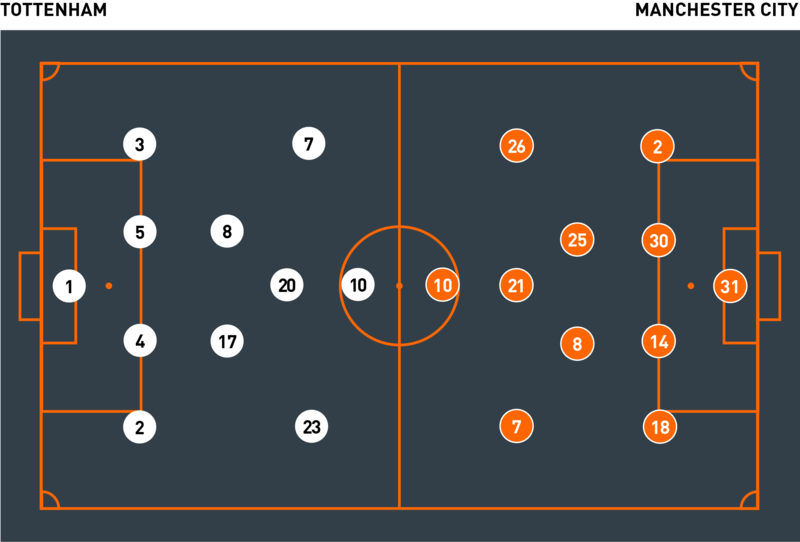 Out of possession, Guardiola’s men formed a mid-block in either a 4-4-2 (when higher) or a 4-2-3-1 when setting up in their own half. David Silva was the midfielder to step forward and join Aguero in the first line of pressure, as Tottenham’s double pivot slowly expanded into wider areas. From here, the hosts pushed their full-backs higher, which pushed Raheem Sterling and Mahrez deeper. As the first half progressed and the hosts looked more directly into Kane, City’s block deepened to give them more central players to compete for the second ball. The subsequent 4-2-3-1 block saw Aguero left to screen as the lone forward. This gave Tottenham more licence to bring the ball higher, but meant City had a more compact defensive unit. In the second half, with Kane off injured, Otamendi and Laporte dropped a little further back – wary of both Dele Alli’s deeper runs and Lucas Moura’s direct movements towards goal. 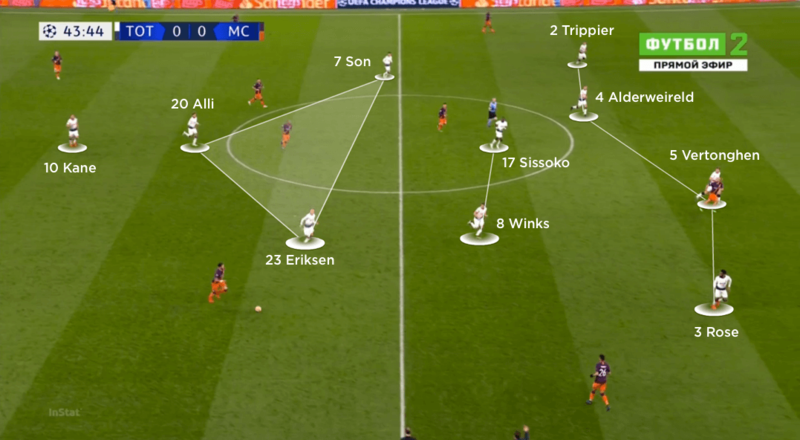 This increased the distance between Man City’s lines, but with Moura eventually moving to the left, and Alli and Eriksen becoming the two central forwards in a defensive 4-4-2 shape, City were able to resume their higher line. Unfortunately for the visitors, this was eventually exploited by the forward run of Son, who cut back inside past Delph to secure Spurs a narrow advantage heading into the second leg.